Sculpture Size: 11.5 X 8.75 X 16.175 in. Every year Tim creates a very special piece for Mother's Day. 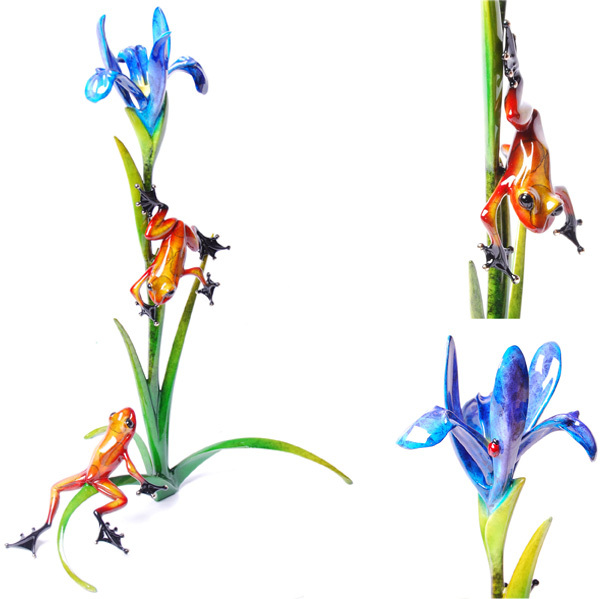 The latest addition to this lovely floral tradition features two frogs interacting on a tall, elegant iris flower. The perfect gift and the perfect spring accent for your home.